And I’m not going to bother cleaning it up. Let it run all over town as far as I’m concerned…I may be the luckiest flute player in town today, anyway that’s how I feel. I love my band The Naturals , I love sharing our music with you, with a church full of lovely human beings, feeling the music rising, lifting us all up up UP! It’s a family affair, isn’t it? 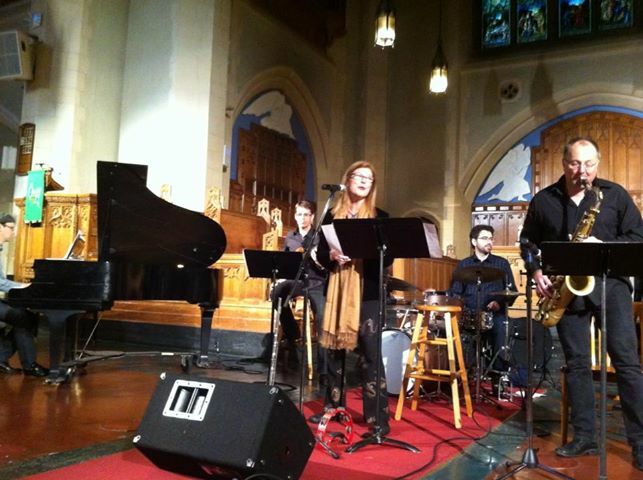 This entry was posted in Uncategorized and tagged Holly Burke and The Naturals, jazz vespers, Nature Girl, st.andrews wesley church, Vancouver Entertainment, Vancouver Jazz. Bookmark the permalink.